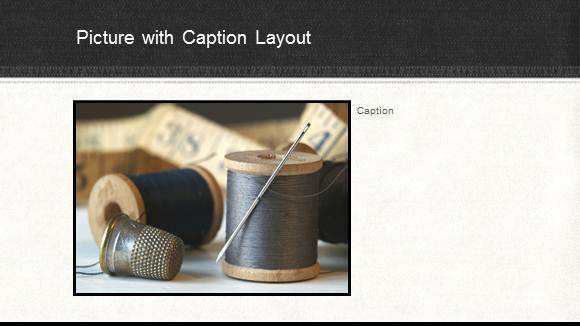 The denim fabric is an object of inspiration for this free PowerPoint theme. It has a jeans design along with white stitching border. The border has brushed texture and provides a contrast to the white. People associated with Textiles, manufacturing, Engineering, and crafts will find the design relevant to their field of interest. Free Jeans template for PowerPoint Online is designed for Textile industry to explain the history of textile and the types of textiles. 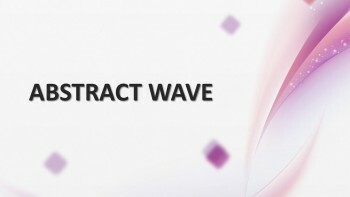 Make brochures for textile exhibition, and international textile export. Alternatively, Arts students interested in Art & Design along with other sub-disciplines can feature their work and use this dark PPT theme for a portfolio or school project. Those involved in the design and manufacturing of clothes can brainstorm how to make an industrial process more efficient. Managers have the option to delegate the workers by assigning specified tasks to each group. An entire process is divided into steps, such that each step is composed of a collection of tasks. 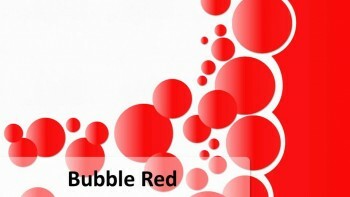 Modify the text to fit your project description. The person responsible for preparing this presentation has a plethora of SmartArt graphic options available at his disposal. 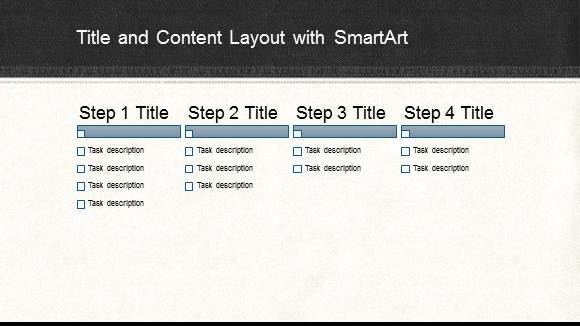 Choose from SmartArt related to Relationship, a list, or a process from the “Insert” option. If your niche market is Textile, explain various facets of your product line or production. The slide has yarn along with a measuring tape and a threading needle. Explain the units of textile measurement and terms, such as conductive textile. Sell fibers or yarn by using this free business PPT slide to display products along with their quality standards. 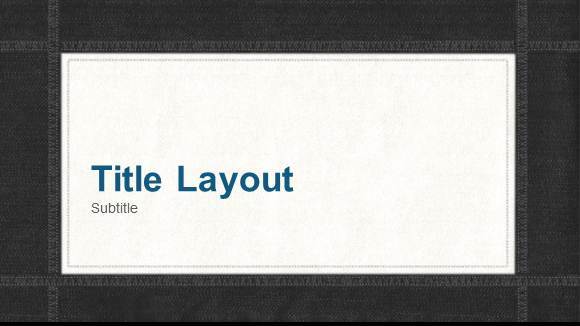 Free Jeans Template for PowerPoint Online is available at Office Online. 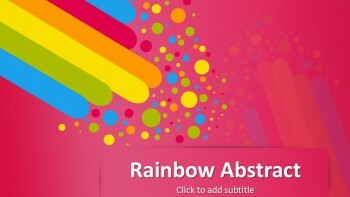 Access this ready to use design by logging on to the website, with a Windows Live Hotmail, or Microsoft Outlook account.